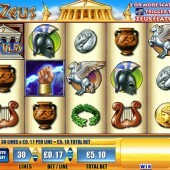 If Cleopatra is IGT’s showpiece slot game then Zeus might arguably be the most popular slot from WMS. This may be something argued by several slot players out there, but the fact that there are several sequel’s to this game is a sign of how much it is loved by players. I have always been a huge fan of the Zeus slot machine and will always try to seek it out on a visit to the casino. WMS have also released Zeus slot online, although it is not available to players in the US yet because of Federal laws regarding online gaming. The online Zeus slot has all the same rewards in the bonus round, which is triggered by 3 or more scatters (the hand holding lightning symbol) anywhere on screen. You get 10 free spins for 3 scatters, 25 for 4 and a massive 100 if you see all 5 scatters at once. As most casino players will tell you, this is very rare to see, but does happen. The good thing about the bonus is that it can retrigger if you get 3 or more scatters. During the bonus round you will also see extra stacked Zeus symbols and stacked wilds, which can really boost your wins. 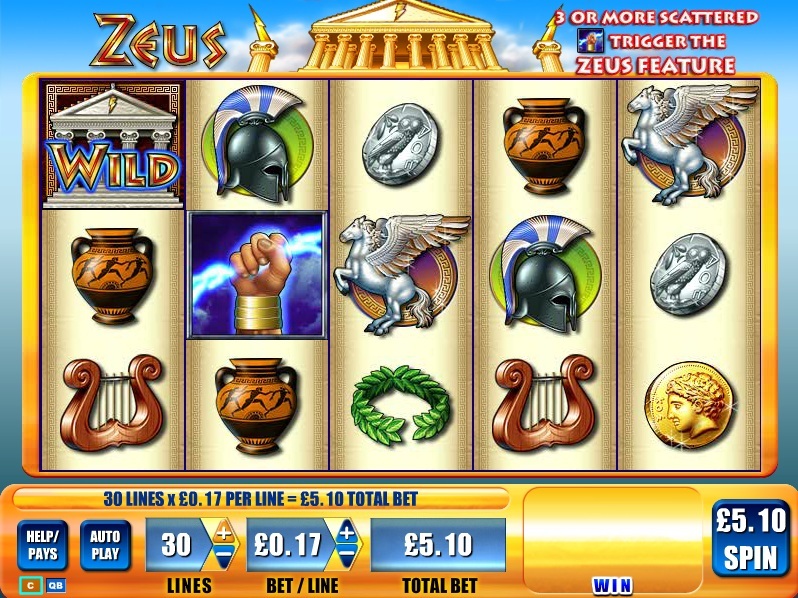 Zeus is a ‘must-try’ slot game, whether you try it online or in the casino. I love to play Zeus slot in the casino if I am honest, however I am aware that the RTP (amount returned to player) is higher online. If I was to say which slots would possibly be as good as Zeus from WMS then I would have to say the popular Wizard of Oz comes close and the online Bruce Lee slot is also very good. The release of the first Colossal reels slot Kiss is also a very strong contender for Zeus' title.